As we had plans to visit Blackgang Chine and Osborne House I thought it would be nice to also try something completely different during our stay. We decided to head to the Isle of Wight Donkey Sanctuary, home to lots of rescued and retired donkeys. It was such a wonderful place. A big open space with 90+ donkeys. Many sweet natured ones that enjoyed coming over for some fuss and attention. Whilst we were there hearing the donkeys hee-haw was hilarious! They were making some funny calls to each other and we liked listening to them. They seemed such happy donkeys, especially those chasing each other in the fields and making their most of their second chance here. There are also ponies to meet too. On arrival the boys were given a sheet each to try and spot all the donkeys. This kept them busy and they liked the challenge. There were lots of informative signs around the site and its quite an educational experience. It’s free to enter which is a bonus if you are on a budget. But it is nice to help with the donkeys upkeep in some way. 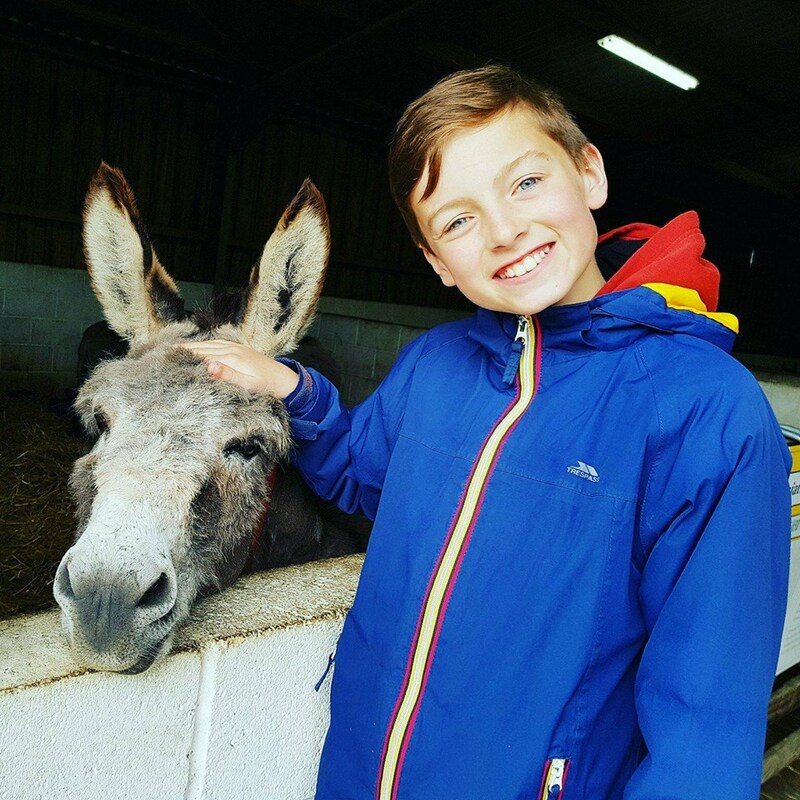 How can I help the Donkey Sanctuary? You can donate, consider adopting a donkey or just make a purchase in the shop or café. All are welcomed and appreciated. Adopting a donkey only costs £20 for the year and with that you get an “adoption pack” with a certificate and a picture of your chosen donkey. You can also book an experience again these are very affordable from £5 to groom or walk a donkey, up to £30 for a half day donkey experience which includes cleaning, feeding, grooming, walking and caring for the donkeys. Why not make your visit extra special by arranging to do one of those experiences too! Donkeys have a best friend and they love spending time in each other’s company. They also like living in like minded herds depending on their personalities and needs. Their coats need to be sheltered from the rain as they don’t have natural oils that protect them from bad weather. A male donkey is called a Jack and a female donkey is called a Jenny. Donkeys are much more intelligent than horses. We left knowing lots more about donkeys! If we return to the Isle of Wight I am sure we will back again.